The stone ruins of Kagkatikas on the island of Paxos, Greece, have been given a temporary makeover that brings the 400-year-old site back to life. 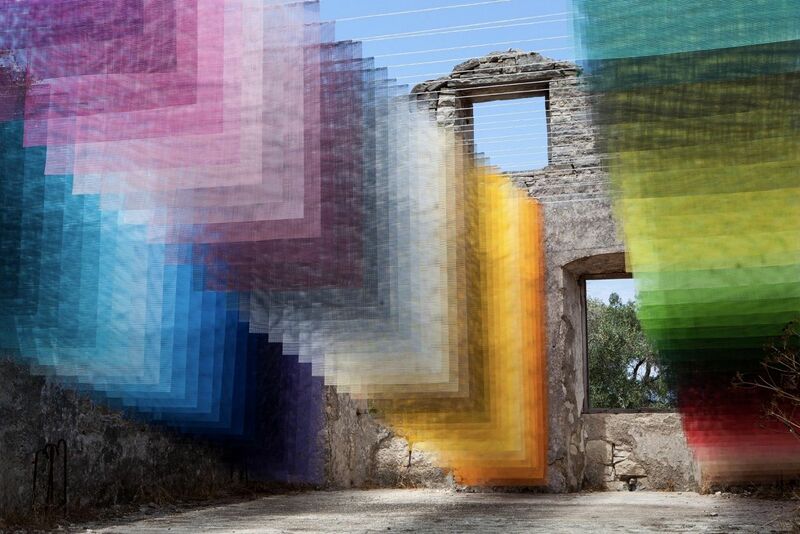 Artists Thomas Granseur and Tomislav Topic of the German design practice Quintessenz created the huge project, called Kagkatikas Secret, using 120 mesh layers of different colors. The result of their work is a truly surreal art installation that flutters in the wind and challenges the audience’s perception of reality. The colorful mesh panels are strung up with wires and spray-painted with an array of 120 different colors. They’re hung in order of size to create the illusion of depth, with the largest placed near the rear stone windows that frame views to the sea. The installation strives to blur the line between reality and the virtual world; the past and the present. Those familiar with Quintessenz’s style will find this installation fitting. The German design group generally takes its inspiration from graffiti culture, graphic design, and chromatics. 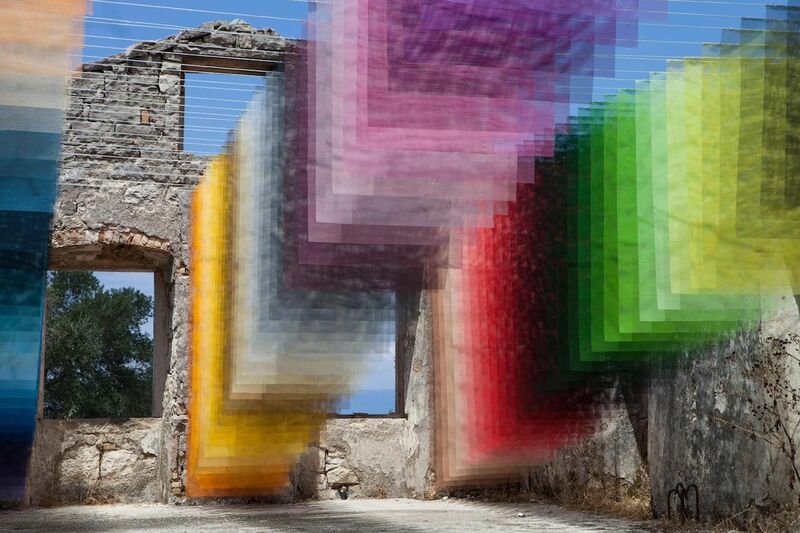 Kagkatikas Secret is part of the first-annual Paxos Contemporary Art Project — a site-specific artist initiative on the Ionian island of Paxos.